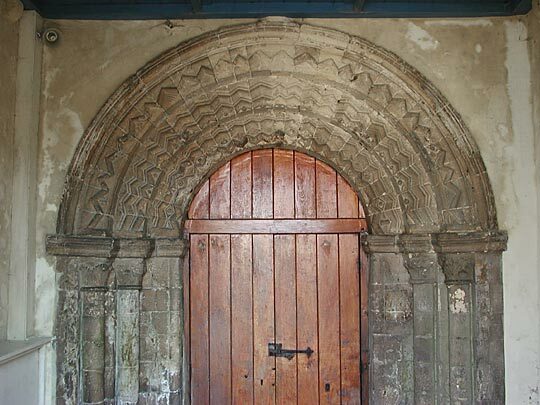 The high W entry with a round arch, the quoins of the porch, ... the traces of a round-arched W window, (the heightening to a tower is C13), a bonding course of Roman tiles, and the SW quoins of the nave. 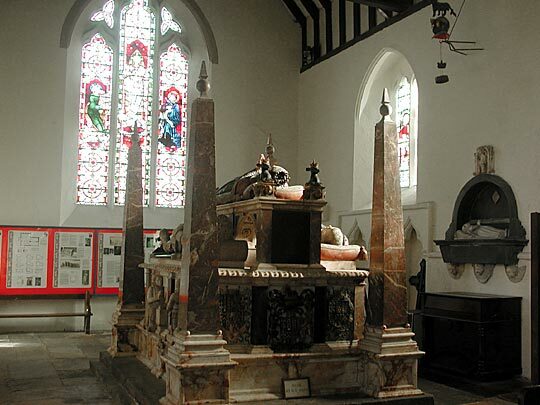 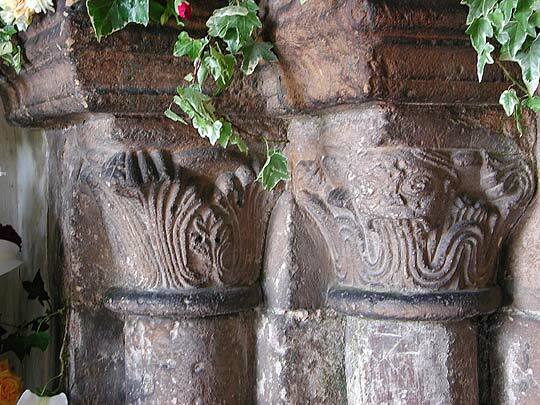 The tower still serves as W porch, and leading into the nave is a well preserved C12 doorway of three orders of zigzag moulding with some small-scale ball and lozenge ornament, with shafted jambs and capitals carved in strange writhing reeded leaf patterns. 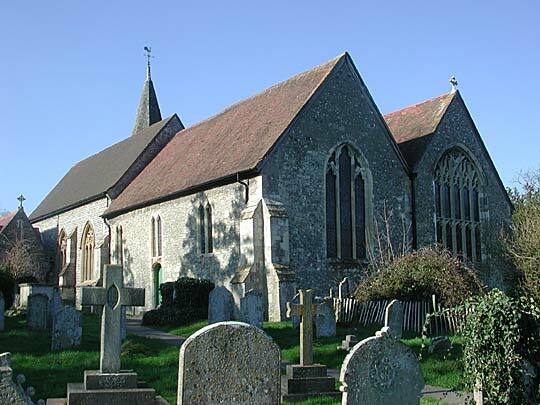 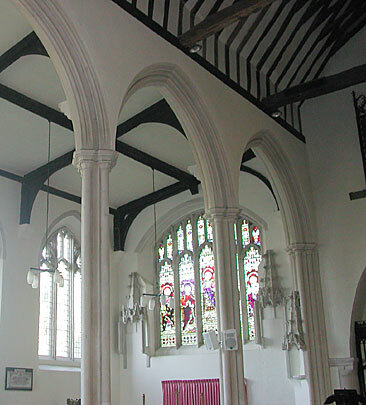 Hampshire can show few examples of Perp architecture as ambitious as this aisle, although it would not be specially notable in the West Country or East Anglia. 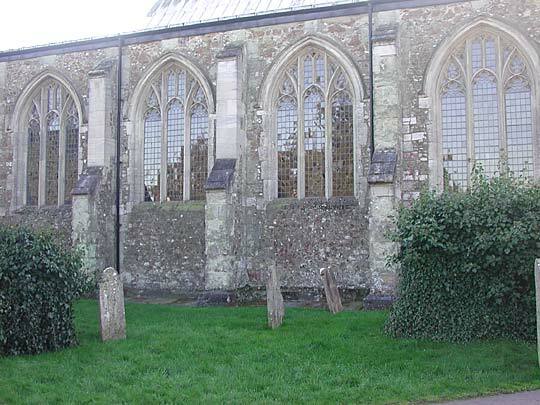 The chancel was rebuilt in the 13th century and remodelled in the 15th century but now has a 19th century Perp east window. 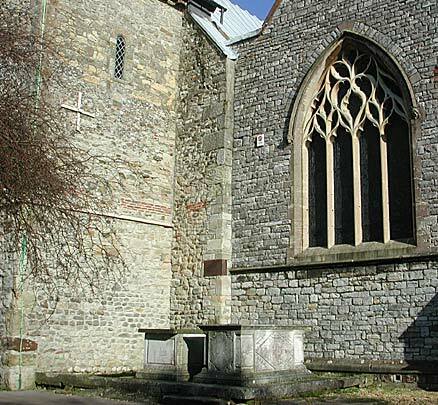 The south chapel was added in the 14th century and has two-light south windows, each light ogee-headed. 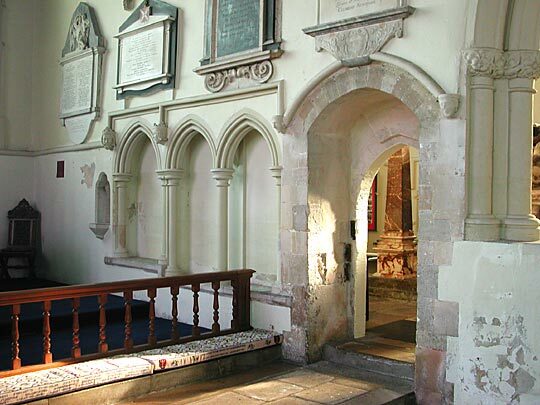 The south aisle of the nave is neo-Dec of 1867, replacing a Norman south aisle. 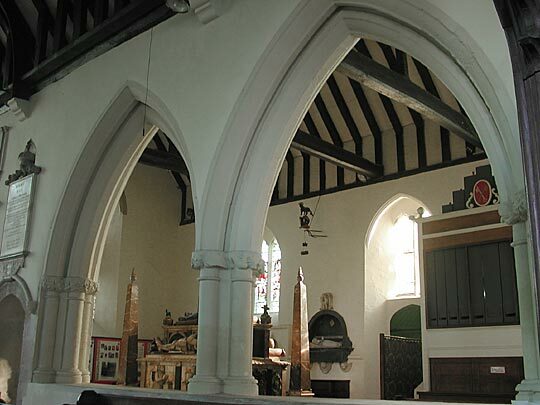 The inner string course and the sedilia, the latter over-restored, are C13 survivals. 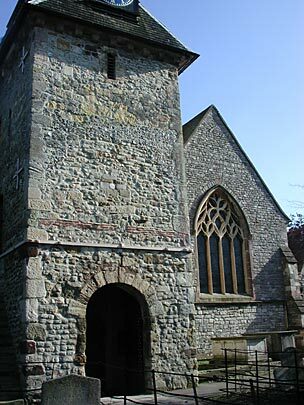 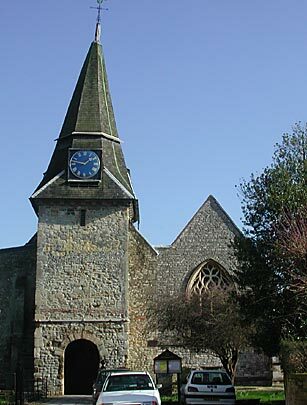 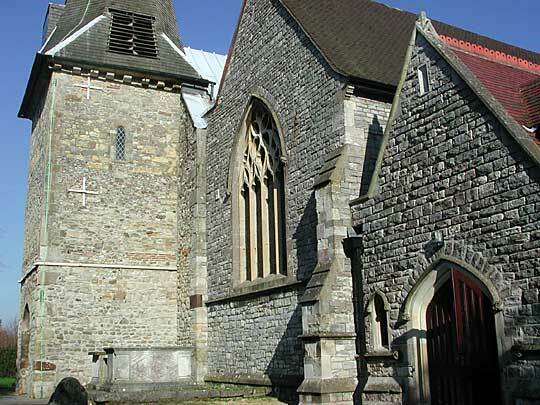 The two-bay S arcade dates from c.1320, when the S chapel was built. 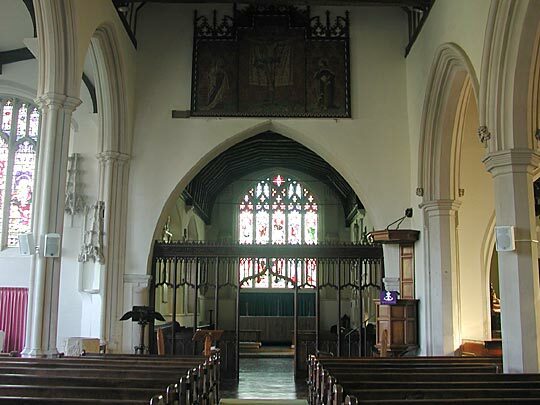 It stands on a stone screen wall. 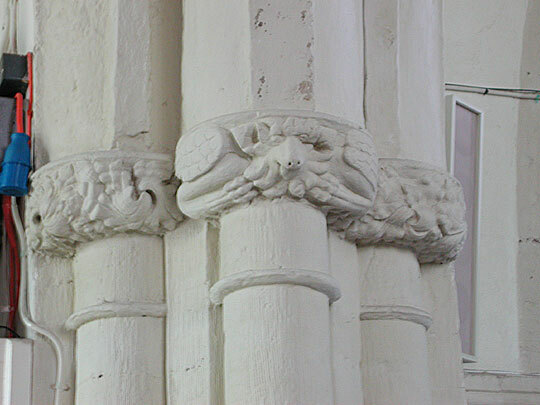 It has curious capitals carved with engaging though grotesque winged figures and profuse foliage.